This gorgeous watch is the epitome of sophistication – and we expect nothing less from Cathy Kidston. Flourishing in a natural floral pattern, it features a large, white dial with silver markers and three dials. 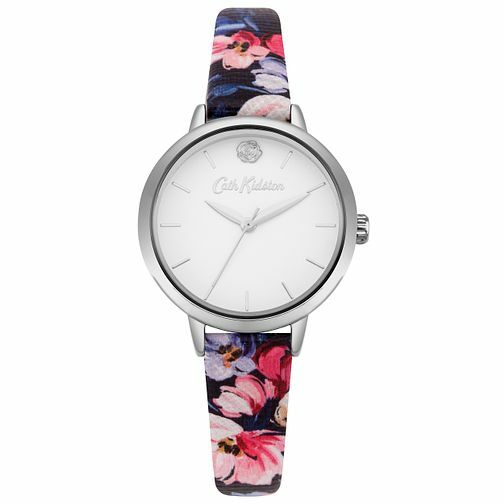 Cath Kidston Navy Floral Printed Strap with White Dial is rated 5.0 out of 5 by 1. Rated 5 out of 5 by Anonymous from Looks great I bought it as a present. My daughter was thrilled with it. It looks fantastic.